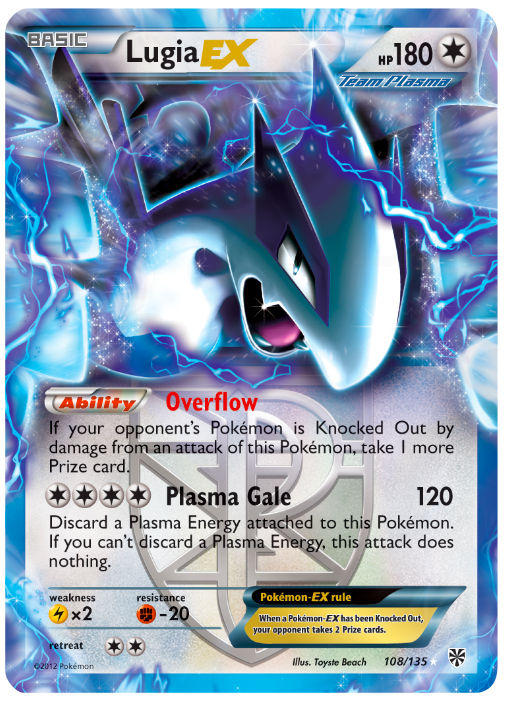 The brand new Pokémon Black & White Plasma Storm cards don’t hit store shelves until February, but you can get your first look at three of the new cards right now! In keeping with the Plasma Storm theme, all cards have blue borders, blue tints and the Team Plasma shield. There is something for everyone in this 130 card expansion. 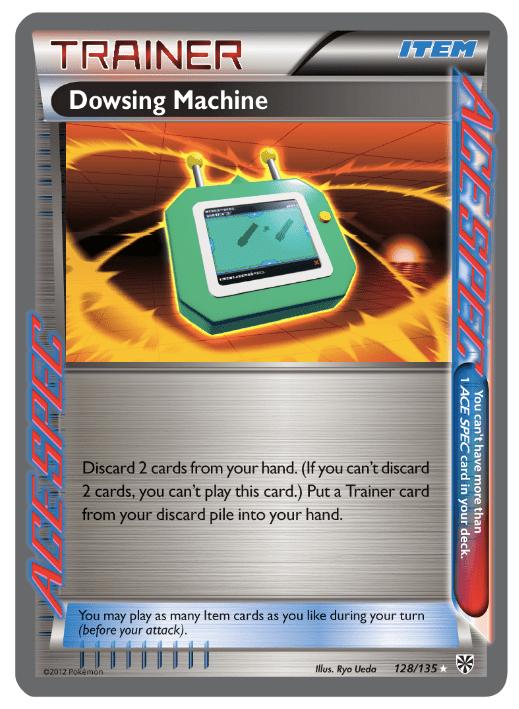 In addition to the new Team Plasma cards, you’ll get 14 new Trainer cards including three new ACE SPEC cards that are so powerful that players can only bring one into battle at a time. There are eight new Pokémon-EX like Victini-EX, Cobalion-EX, and Lugia-EX and four full-art Pokémon-EX rare Ultra cards. 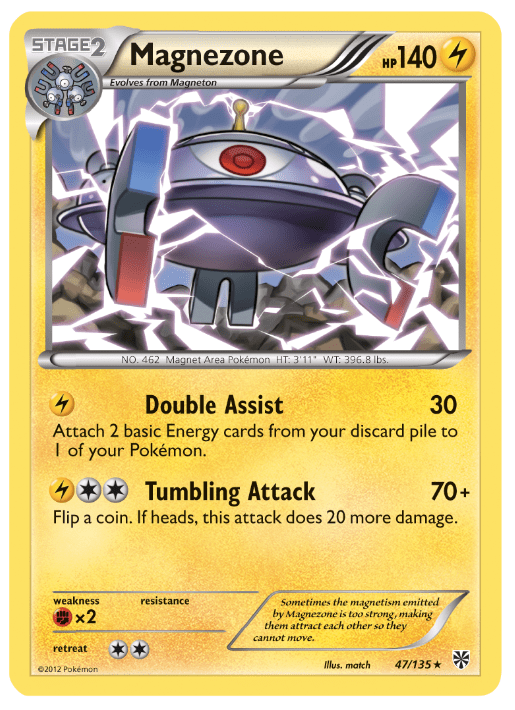 Every theme deck and booster pack also includes a code card that unlocks virtual cards from the expansion that can by used in the Pokémon Trading Card Game Online. It’s only a few months until the release on February 6th, but with all these great new cards, it’s going to feel like a lot longer.